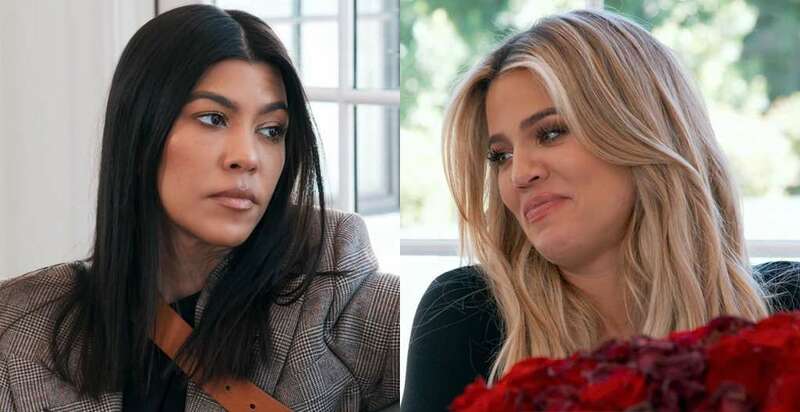 In this exclusive clip from Sunday's all-new Keeping Up With the Kardashians, a pregnant Khloe Kardashian announces which sister she has chosen as her daughter's potential legal guardian. With the Revenge Body host's due date looming, this decision seems more necessary than ever. While KoKo respects both Kim Kardashian and Kourtney Kardashian's respective parenting styles, it appears there is one clear front-runner. "So I can't make anything official until the baby is born…but I am going to probably have Kim as the legal guardian if, god forbid, something happens," Khloe reveals to her older sisters. "I don't know my parenting style until I have a baby, but from what I envision my parenting style to be, I do think it'll be more like Kim. A little more stricter." Per Tristan Thompson's lady, she just relates to "how Kim parents more." Nonetheless, Kardashian isn't too concerned about her little one's future well-being as the Kardashian-Jenners are so close. "At the end of the day, this family is so close and we love each other so much," the E! personality relays in a confessional. "If anything god forbid were to happen, I know my daughter's in the best of hands, no matter who her legal guardian is." Although Kourtney is bummed by the decision, she understands where Khloe is coming from. "Guess what? You don't have to give me an explanation, I got three kids and I'm busy on my own," the oldest Kardashian responds. In fact, Kourtney has plans to expand her own brood by "one plus." Although this confession stuns Khloe and Kim, Kourtney steers the attention away from herself and congratulates Kanye West's wife. "It is my honor," the KKW Beauty boss shares. "And I will take such good care of your kids." Still Kourtney hasn't ruled out the possibility that she'll one day be named legal guardian. She even admits that she has flip-flopped on this type of decision herself. "Honestly, you don't know what your parenting style is until you have kids," Kourtney confesses to the cameras. "I think once Khloe has her own daughter, and she is really a mom, then maybe she will realize that we have more in common than she thinks, as far as parenting styles." "You never know, Khloe might switch back to me," Kris Jenner's oldest concludes.